As the exciting 2017 NHL playoffs are going strong, I'd like to do this repeat "good feeling" post from November of 2014, when the great fans of the Toronto Maple Leafs performed a good will gesture to America during the singing of the National Anthems. From the Blaze we found out that on Tuesday night Nov. 18, 2014, before the National Hockey League game in Toronto, Canada between the visiting Nashville Predators and the home team Toronto Maple Leafs, something wonderful happened during the playing of the Star Spangled Banner. In the last half of the U.S.A. National Anthem you could hear the mic of the singer going out. When that occurred, the following happened that may give you goose bumps like it did me. Please watch the following video that shows the ending of the National Anthem at the NHL game in Toronto, Canada. Wow, thank you awesome Maple Leaf fans for doing that. The Blaze pointed out: "Last month, Pittsburgh fans chimed in on the Canadian national anthem after the fatal shooting near the country’s parliament." I think these good will gestures [respect] shown by the people of both countries to their next door neighbor is fantastic and hope we can keep the love going! 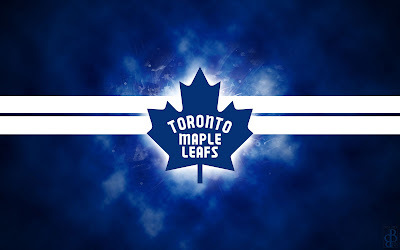 For you great fans [and friends] of the Toronto Maple Leafs, and for all Canada, this is for you!